Why Don't Disney Resorts Sell This Merchandise? Gelato Shake at Disney Springs’ Vivoli il Gelato Celebrates Live Action Dumbo! So what’s IN the Greatest Shake on Earth? Plenty of deliciousness! 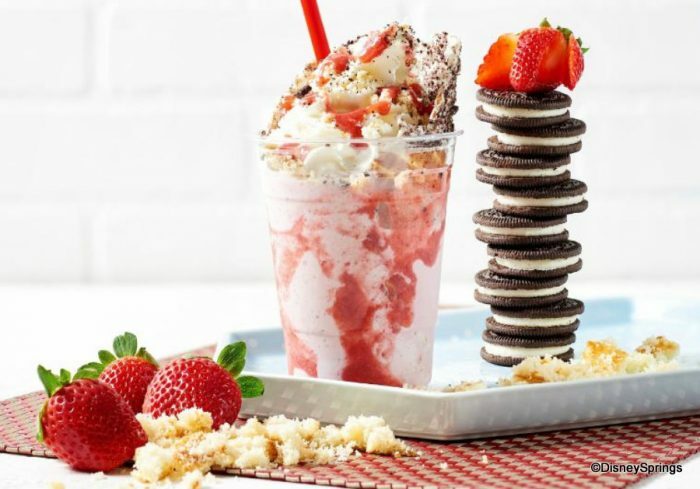 Three types of gelato — strawberry, cookies and cream, and vanilla — plus toppings of whipped cream, strawberry sauce, cake crumbs and crumbled Oreos. It sounds… GREAT! We’re not sure how long the Greatest Shake on Earth will be available at Vivoli il Gelato, so hurry in to try one for yourself! Click here for ALL the Vivoli il Gelato info you need, including the menu and reviews! If you could craft the Greatest Shake on Earth, what would you include? Let us know with a comment! Subscribe to the AllEars® newsletter so you don’t miss any of the latest Disney news! Sarah has built a career in communications and marketing that started when she was the editor of her high school newspaper. She has written for AllEars.net since 2018, and enjoys sharing Disney news and updates with the AllEars community. She's been a Disney fan ever since her first visit to Walt Disney World when she was 5, and has been known to arrange trips around visiting a Disney park!